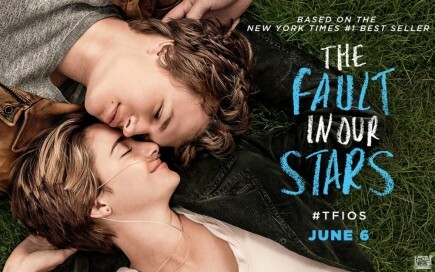 Based on the best-selling novel by John Green, The Fault in Our Stars is a charming, emotional story about Hazel Grace Lancaster (Shailene Woodley), a girl dying of cancer. She meets the one-legged heartthrob Augustus Waters (Ansel Elgort) and, after a few close calls and an adventure that takes them across the world, falls in love with him. These star-crossed lovers must learn to live and love despite their illnesses and the oblivion that faces us all. Who Should See It: This movie is an absolute must-see for anyone who has read the novel or is a fan of John Green’s previous works. Anyone who is a fan of cute, romantic movies will enjoy this movie, but should probably read the book first. The movie will be much better for those who have read the book. Just have some tissues ready! Who to Take: This is a great movie to see with your girlfriends, but only those who have no problem with crying or getting emotional at the movies. This might not be the best date movie, as men may not enjoy it quite as much. It could also be a good mother-daughter movie, as long as your daughter is old enough to understand the movie’s message. What are some tips for dating someone who is extremely sick? Dating someone with a severe illness like cancer can be difficult. Your partner might have limitations, and sometimes the illness can take its toll on someone emotionally. But despite these challenges, an illness doesn’t change the fact that they’re the person you’ve fallen for. Here are some of Cupid’s tips for dating someone with a severe illness. 1. You need to know that they are not their illness. Sometimes a person’s disease can take up a lot of their time with hospital trips, treatment, or just resting. However, this doesn’t mean their life has become their disease. Talk to them just as you would with someone who’s healthy. Check out their hobbies and interests so you can really talk to them about things they like. 2. You should enjoy the time you have with them. This is something everyone should do regardless of their partner’s health. People pass away or become sick all the time, and there’s no way of knowing when that will happen. Maybe your partner has a better idea of when that time will be, but that shouldn’t stop you from getting the most out of your time together. 3. You need to plan dates accordingly. Sometimes sickness can bring a lot of limitations with it, including mobility, diet, and stamina. If your partner has any of these limitations, it’s important to plan dates that can accommodate these limitations. Just because they might not be able to do everything, doesn’t mean they can’t do anything. Don’t let disease keep you from going out and having fun. Show you care by being extra creative with your ideas! What are some other ways to support a partner who is dealing with disease? Let us know in the comments!